The Kingsbury guide to 5-axis CNC machining is available now and covers everything you need to know about these efficient, cost-saving and quality milling machines. Higher cutting speeds, faster drilling, better surface finish & reduced labour. 5-axis CNC machines are incredibly versatile manufacturing centres that benefit from employing up to five different axes simultaneously. 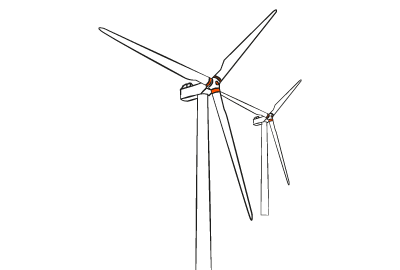 Three linear axes and two rotational. Their capabilities are significantly more diverse than typical 3-axis CNC machines. 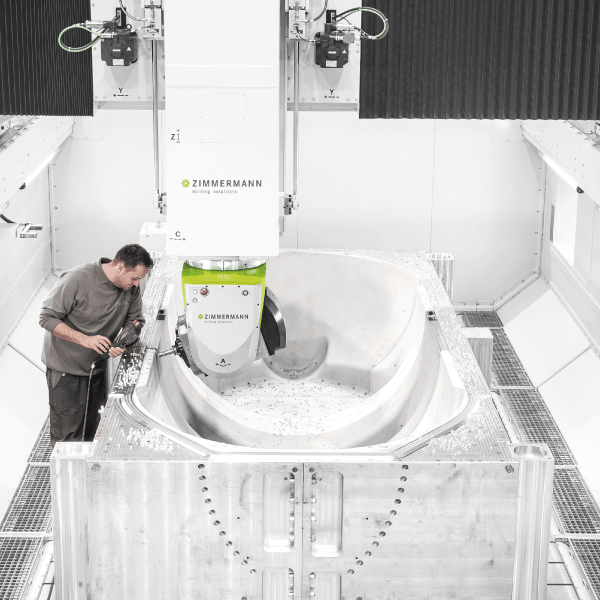 5-axis machines can be configured in such a way as to eliminate multiple setups and can thus reduce the need for constant supervision, increasing efficiency and achieving single-setup machining or “Done-In-One”. What can you do with a 5-axis milling machine? 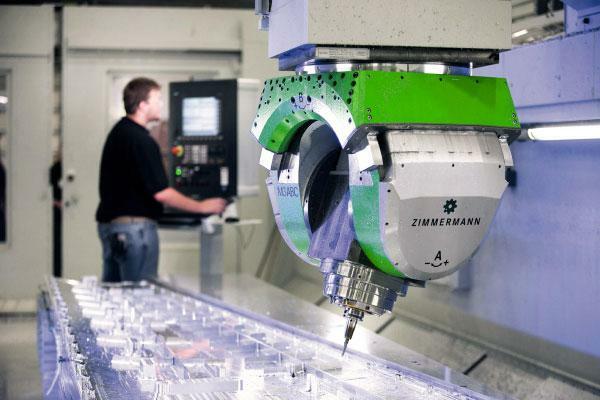 A 5-axis machine is a force multiplier for any machine shop. In the hands of a skilled operator it can create complete parts without any setup changes – basically one op to completion – dramatically reducing downtime. The section below indicates the major industries that make use of CNC-machined components and how they can benefit from 5-axis freedom of movement. One of the main reasons why 5-axis CNC machines are ideal for the aerospace industry is the limited amount of re-fixturing required. Due to the complexity of a typical aerospace component, 3 or 4 axis CNC machines will require multiple re-fixturing steps and re-orientations to allow for the cutting head to machine difficult to reach areas. Aerospace components also have organic shapes with compound curves which are an ideal application for 5-axis machines. An example of a compound curve can be found in turbine blades which are cast and typically machined by a 5-axis machining centre to achieve the final desired shape and surface finish. The automotive industry is characterised by high production volume with a critical requirement for consistency. From the first to the thousandth, each component needs to fit within a specific tolerance every time. Most components in the transport industry are made using low-cost high-volume processes like stamping, injection moulding and casting. However, these cheap and fast techniques require advanced and highly accurate tooling, which is an ideal application for 5-axis machining. Like the aerospace industry the medical industry has an extremely stringent requirement for quality. 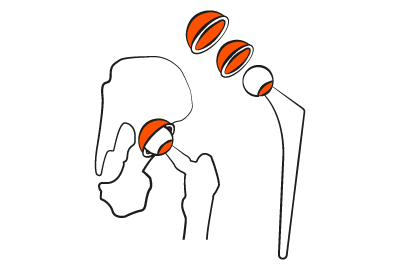 Certain medical parts may have a direct and immediate effect on a person’s health or survival rate if there are detrimental quality issues. Some medical components have organic shapes machined out of exotic materials to enable them to be implanted into a patient. 5-axis CNCs can both machine these types of materials and handle the organic shapes of such implants. Apart from implants there is also a need for 5-axis on other medical-related applications like medical impellers and CT scanner components. The energy industry is the backbone of all other industries. It is vast and encompasses many different technologies. From coal-fired power stations to concentrated solar power systems and even more exotic technologies like fusion, there is a never-ending need for advanced components that push the limits of engineering, materials science and manufacturing. Due to these intensive requirements there is a need for machining systems that can reliably produce advanced components and this is where 5-axis machinery comes into its own. One example of the types of complex components that are emerging in the industry is the plasma containment chamber in a stellarator fusion device. The shapes in this machine are so organic and complex that there is simply no other way to manufacture them apart from with a 5-axis machine. The industrial sector includes many other industries not mentioned previously, such as the manufacture of consumer products, mining, construction, etc. Due to the large scope of the industrial sector there are many complex components requiring manufacture for which 5-axis machines are invaluable. 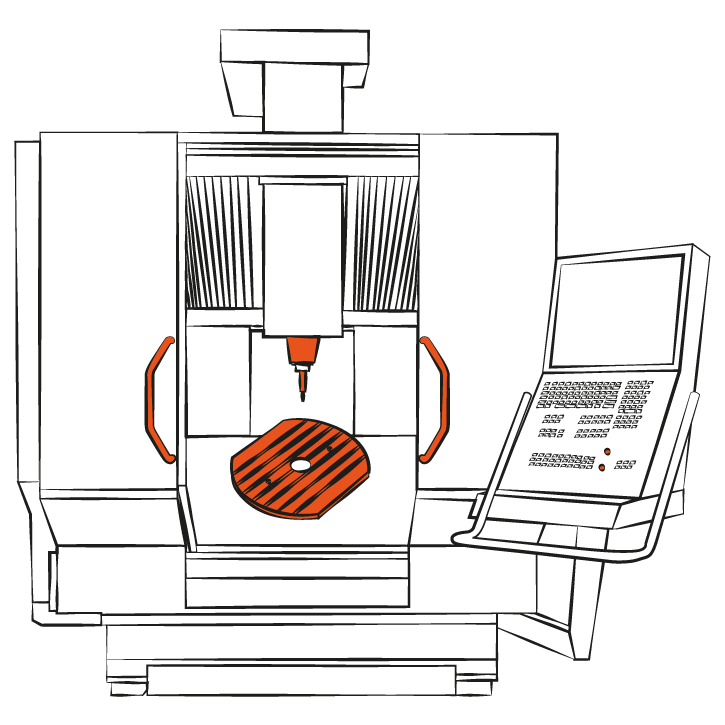 General CNC machines take up the bulk of the work in this industry with 5-axis machines serving a supporting role in tool making, mould making and specialised applications.As technology advances alongside machine learning and AI, there will be more optimisation occurring on existing systems and technologies. Although advancements in additive technology are opening manufacturing up to more complex shapes, production processes are still relatively slow. At least for now, nothing can match the pace and flexibility of a 5-axis machining solution. Driven Precision Engineering, based in Southampton, are using their Hermle 5-axis virtually 24/7 during the busy race car season. 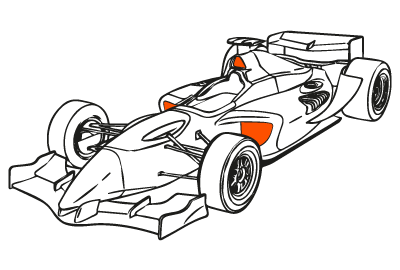 The machine is producing race car components in a range of materials, jigs and fixtures, and aluminium moulds for manufacturing carbon fibre car parts. The most significant benefit of 5-axis machining is the ability to machine complex shapes and parts from solid that would otherwise have to be cast. This additional movement creates machining angles and arcs that were only previously possible with a multitude of special fixtures or additional setups. It can give lead times of one or two weeks, instead of two months or more that would be needed for castings. 5-axis machines can machine nearly every visible surface, which reduces the need for multiple setups or special features. Due to the range of motion of its cutting head and extra rotational axes, these machines can reach 5 sides of a part, meaning there will be less re-fixturing required and fewer setups. This not only saves time, but also saves cost and operator error. Moreover, with multiple setups, there is always a possibility of incorrect alignment each time the part is moved. There are additional costs each time a machine operator touches a part. Through opting for a 5-axis machine, this wasted time and subsequent cost is eliminated. By reducing the time taken to re-fixture the part, this in turn also reduces the labour costs. The fewer the time an operator needs to touch a part the lower the cost will be. 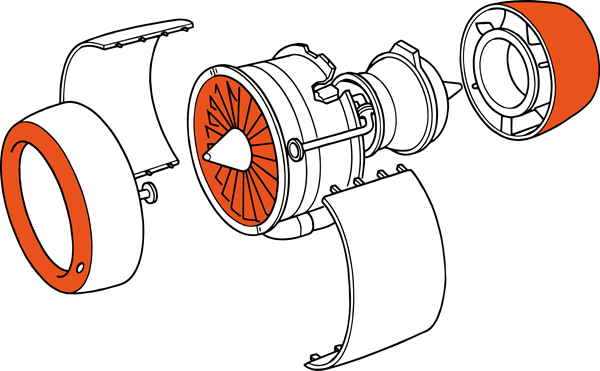 Certain parts are only able to be machined with a 5-axis movement, however, alternative parts can be machined more efficiently with a 3+2 movement. Here, the 4th and 5th axes are used to secure the work piece in a fixed position, therefore eradicating the need for all 5 axes to move simultaneously. 3 + 2 machining is perfect for parts with features on multiple faces or angles. Using the 5-axis capabilities on contoured geometry directly results in a better overall surface finish in less time, in comparison to 3-axis machining where a good surface finish requires longer lead times. The use of shorter cutters in 5-axis machining reduces the vibration of the tool, allowing a higher quality surface finish to be obtained. 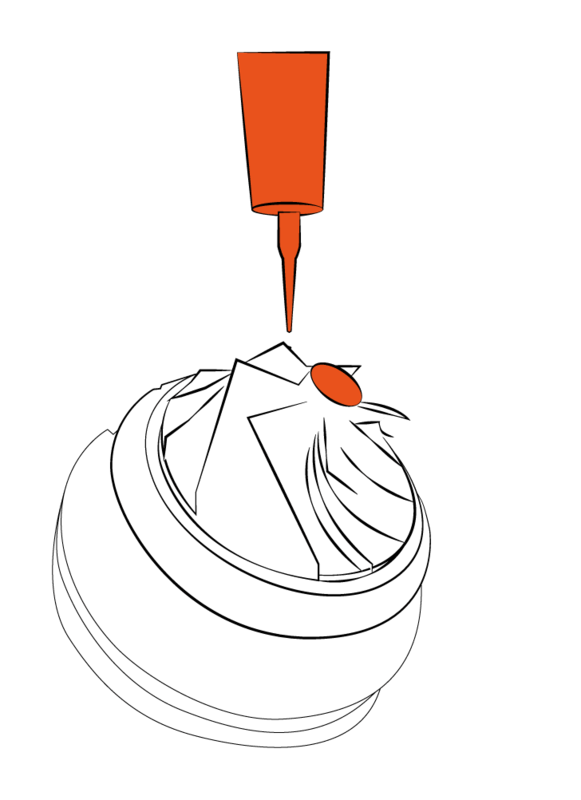 This reduces, and can even eliminate entirely, the need for time-consuming hand finishing. There is the potential for inaccuracies in each setup change, once a part is removed from the machine and precise alignment can be lost. Using the same “Zero” or “Home” location means that feature-to-feature accuracy is maintained. Due to its shorter tools, a 5-axis machine is able to get much closer to the material, which in turn allows for higher cutting speeds without putting excessive load on the cutter. This not only increases tool life but also reduces tool vibration and breakages. The machine also possesses additional axes of rotation – drilling compound holes at odd angles a great deal faster than traditional CNC machines as the head can be oriented along the correct axis for each hole automatically. When making complex parts such as turbine blades, impellers and aerospace airframes, 5-axis CNC machinery maximises productivity by reducing the cycle times. As a result, this efficiency allows manufacturers to successfully compete for business in aerospace, automotive, medical and other major industries. By adding one 5-axis machine, many other machines can be eliminated or repurposed, therefore increasing the space available on the shop floor. These repurposed lathes, VMCs or HMCs can then be made more cost-effective by being used to produce less complex parts. 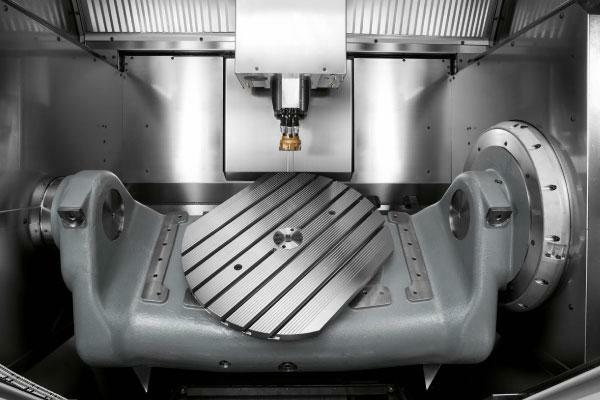 The 5-axis machine increases uptime, decreases human error and eliminates the need for special fixtures. For parts with features or holes on multiple faces or angles, 3+2 machining is the clear choice. The axes on a Hermle 5-axis machine for example are represented by X, Y, Z, A and C. When standing in front of the Hermle, the X axis runs from left to right, the Y axis is the movement towards and away from you, and the Z axis moves the spindle up and down. These are the three linear axes on a traditional CNC machine. The A axis allows rotational movement around the X-axis and the C axis allows rotational movement around the Z-axis. This means that the C-axis will rotate clockwise and counter clockwise if you’re standing in front of the machine and the A-axis will rotate as if rolling away or towards you. Which materials are suitable for 5-axis CNC machines? 5-axis CNC machining is just as capable as traditional 3-axis machining when it comes to materials. All the standard and non-standard materials can be machined if the correct speeds and feeds are used along with the correct tooling. 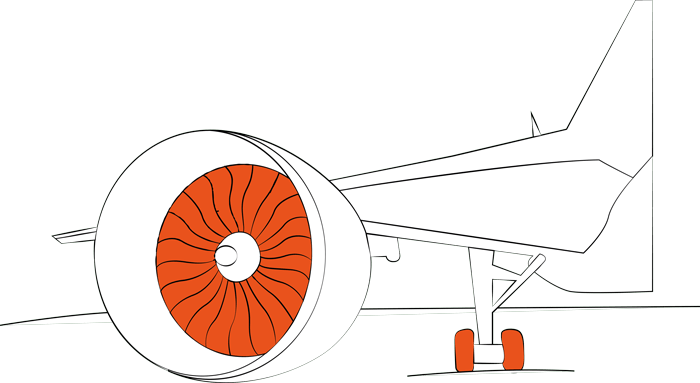 Titanium is a high-strength low-weight material that is used in aerospace and medical applications. Titanium is notoriously difficult to machine due to its inherent toughness and requires machines with high-torque spindles and significant machine rigidity. Furthermore, the abrasive nature of titanium means that a trade-off needs to be made between material removal rates and tool life. Stainless steel comes in various grades, but the austenitic steels are the most commonly machined. 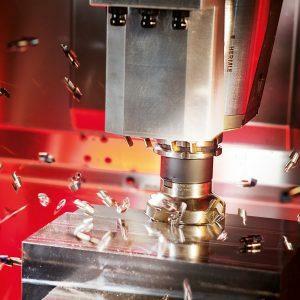 As is the case with titanium, machines cutting stainless steel need to have high levels of rigidity and should have enough spindle torque to cut the material without the tool chattering or rubbing against the parts. However, if a machine is capable of cutting titanium, then stainless steel should not be a problem if the correct speeds and feeds are used. There are many different aluminium alloys with different properties. Despite aluminium being generally softer than other high-performance materials it has its own set of challenges. Aluminium tends to stick to the tool if incorrect feeds and speeds are used. Aluminium is ideal for 5-axis machining because the material is generally more forgiving that some of the high-strength alloys. Inconel is a high-temperature nickel alloy that has exceptionally high corrosion, scaling and oxidation resistance at high temperatures. Coupled to this it has very good resistance to high pressure at these punishing temperatures. These exceptional properties make working with Inconel very difficult, it tends to work harden during machining and requires ceramic tooling to efficiently cut into the material. Established in 1938, Hermle is a German machine building company that produces a wide range of 5-axis CNCs from their compact C12U all the way to the C62U MT. With over 130 years’ experience in machine tool manufacture and 60 years’ experience in building state-of-the-art machining centres, BURKHARDT+WEBER has a range of truly impressive machining centres with payloads of up to 20 tonnes. SHW Werkzeugmaschinen has a wide range of machining centres including their Unispeed 5 which is ideal for die & mould manufacturing. Waldrich Coburg produces industry-leading horizontal and vertical machining centres that have impressive build volumes. Their Taurus vertical bridge mill is the only wear-free machine in its class. Zimmermann’s gantry-style CNCs have truly impressive build volumes due to the flexibility offered by their gantry design. Ideally suited for large projects in the aerospace, automotive and marine industries. At the pinnacle of machine tool development for over a century, INDEX Traub supply state of the art turn/ mill machines with 5-axis capabilities.